Excellent protection for disc brake rotors, preventing your rotor to get bent from impacts. Max. 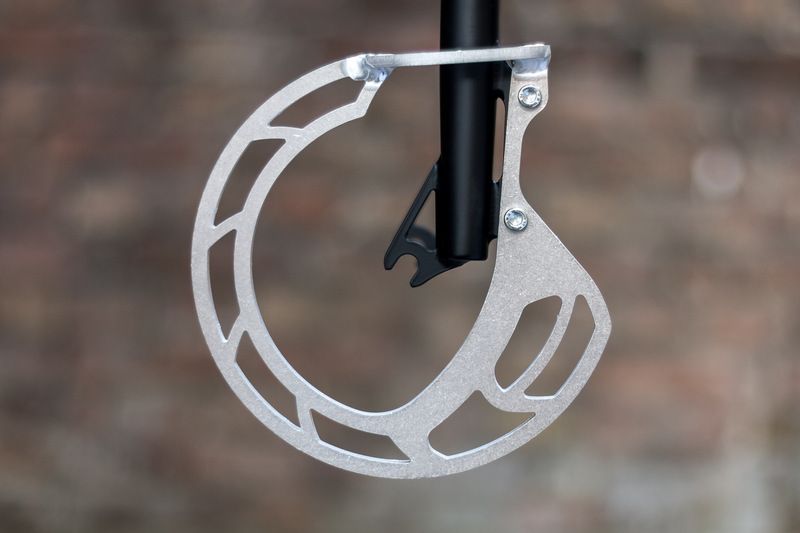 rotor size: 180 mm. 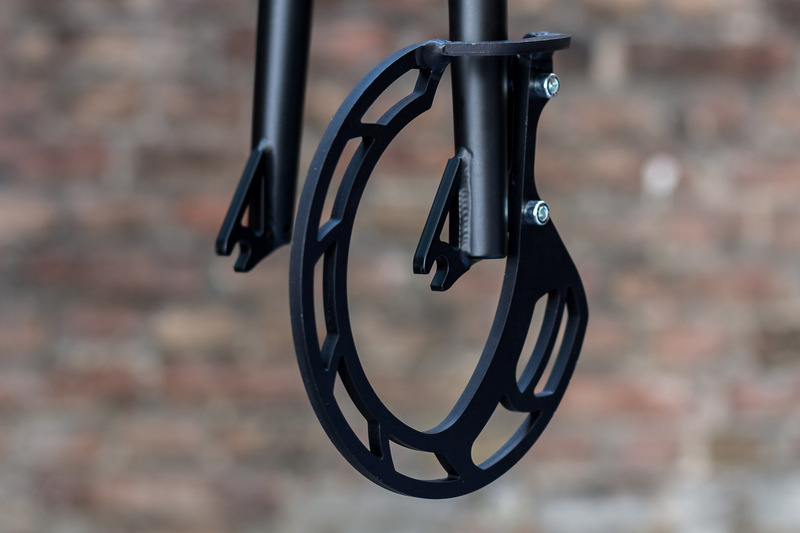 The design went through numerous steps of improvement since our V1.0 rotor guard from 2011. This version (Light) is actually more than tough enough for protecting your rotor. It doesn’t feature caliper protection, though. 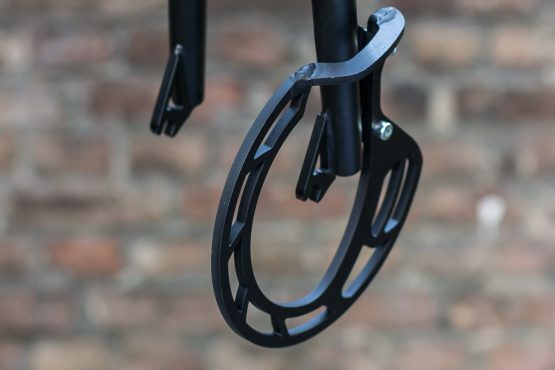 If you’re running mechanical disc brakes, especially Avid BB7, or if you’re just really a pro at destroying your equipment, have a look at the Tough version. 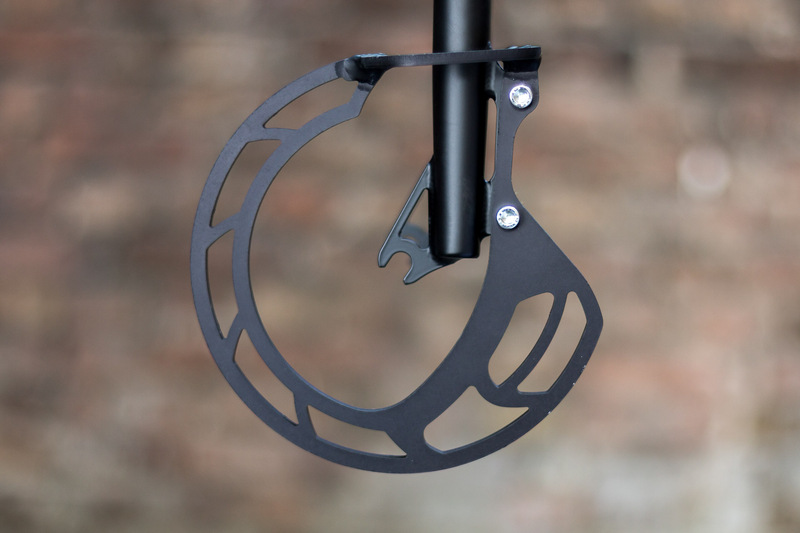 Mounted to the disc brake tab only. Fits 99% of all IS2000 disc brake forks in the market. 6 mm aluminium, 170 g. Lasercut and TIG welded in Germany. Usually in stock (you can check below). Delivery time is 1-3 days for Germany, 1-3 weeks for customers outside of Germany, depending on the country of destination. Special offer: buy 5 (or more) of any kind of Rotor Guard and get 15% off.